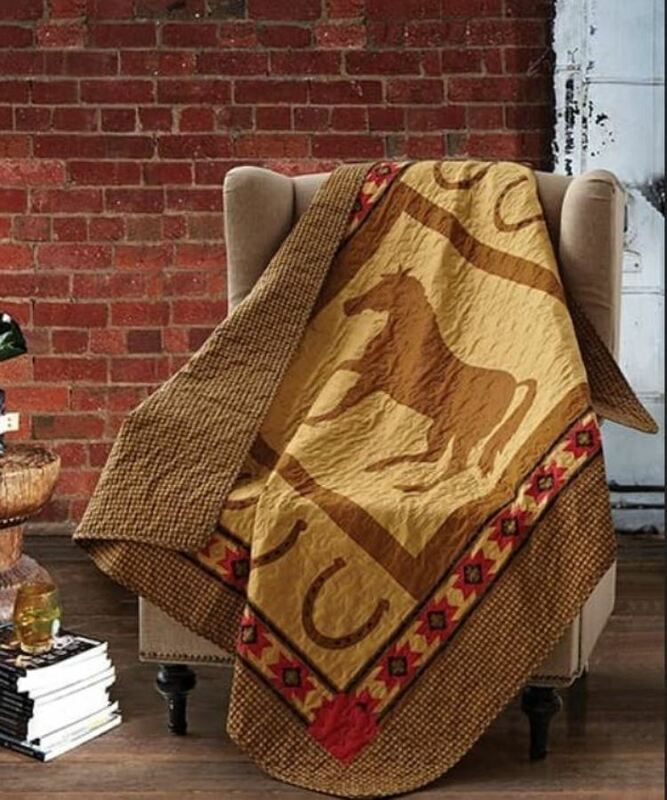 Featuring a large chestnut horse displayed in the center and framed by horseshoes and southwestern accents. Features earthtone browns in solid and checked prints with an all-over quilted stitching, and reverses to the checked print found on the front border. This throw would be a wonderful accent to your favorite chair.